It is a provocative question, posed by librettist Bridgette A. Wimberly, a meta-question in fact, one that provokes thoughts on the very nature of composer Daniel Schnyder’s project—a classical idiom freely alluding to an African-American jazz style. 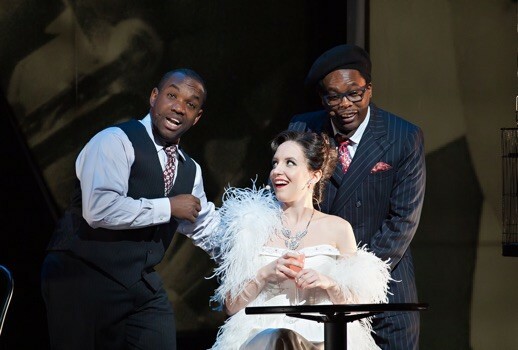 Parker’s astute question about the legitimacy of his music engenders further concerns within the matrix of race, and it recasts the opera—which marks its New York premiere at the historic Apollo Theater this weekend—in puzzling, ambivalent ways. Why not simply compose the score entirely in Parker’s jazz? What is Schnyder doing with such strange musical appropriation—whitewashing Wimberly’s text? Purloining it? Does any particular race own a genre of music? And, most provocatively, are we gazing upon these questions through the scrim of white supremacy? Snyder is a Swiss-born composer who, according to the New York Times, is “known for works that deftly mix classical and jazzy styles.” Experimentation of this nature may be fruitful and exciting, but only in the right context. To advance a story so racially charged with opera, the artistic mechanism of colonial, European bourgeois values, seems tone-deaf in this case. This is Charlie Parker we’re talking about, the virtuosic jazz musician? These spikey political concerns would be less problematic if the score was particularly beautiful. Elements of lyricism, beauty, and transcendence occasionally bubble to the surface, but only when Schnyder allows jazz to speak for itself. More often than not, the score is hampered by redundancy, and as such it is all too predictable and forgettable. Wimberly’s text is another matter altogether. Elegant and efficient, she locates Parker’s drama somewhere in the space between life and death. As the piece begins, we see his body covered by a sheet on a slab at Bellevue Morgue. As Parker’s physicality cools in the aftermath of death, his disembodied self (his psyche? his soul?) tells his story through a rapid-fire series of scenes and tableaus. So the opera unfolds from Parker’s vanishing point—spinning backward and forward, allowing the character’s trajectory and interactions to exists outside the bounds of time. In this space, Parker tries to compose a piece of music, an effort that seeks to make meaning out of the chaotic events of his life. The result is a phantasmagoria of memories, triumphs, and loss. Despite my uncomfortable questions about the nature of the music, the opera does offer an opportunity to hear lots of excellent singing, particularly from Lawrence Brownlee in the title role. It’s easy to be hyperbolic about Brownlee, whose perfect phrasing and utterly reliable instrument usually relegate him to (the fittingly named) bel canto repertoire. But what normally constitutes overblown praise could be considered accurate in the case of Brownlee: his voice unfolds in one facile, brilliant line, clean and precise. Perfect. In the role of Parker’s famed friend and colleague, Dizzy Gillespie, baritone Will Liverman sings with both security and charisma. This touching relationship between the two luminaries undergirds the nature of Parker’s place within his professional community. Through these interactions, the opera is able to explore not only Parker’s modes of creativity, but also his hardships as well—specifically his substance abuse. And then there are the women surrounding Parker. 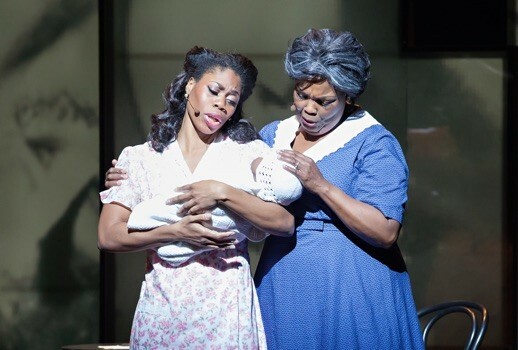 As Charlie’s mother, Addie, Angela Brown provides a robust counterpoint to Brownlee’s virtuosic line, but with no less agility. Her resonant voice, making effective use of the lower register, brings a deep swelling of love and pathos to her role. As Baroness Pannonica “Nica” De Koenigswarter, the woman who owns the segregated hotel suite in which Parker died, Tamara Mumford is a steady vocal presence, deploying a secure mezzo-soprano. The orchestra led by Corrado Rovaris was equally vigorous and clear, moving lithely through the score. Rovaris was able to draw out wonderful playing from his musicians, successfully imbricating a jazz sensibility within the classical textures of Schnyder’s score. But in the end, it is not Schnyder’s score I will remember fondly. Instead, it will be the beauty of Brownlee’s voice that I’ll hold on to—skilled singing, secure within the realms of both coloratura and bepop. 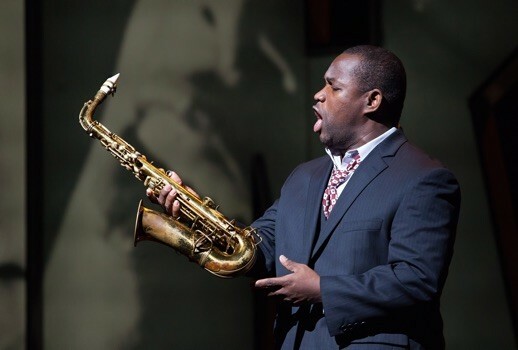 I’m not sure this forecasts a significant future for Charlie Parker’s Yardbird, which will probably be cited mostly as a vehicle for Brownlee’s filigreed tenor. In terms of Charlie Parker, I’m not certain this situation is something one should really regret. If we ever need to remember Parker’s genius, in all its grief and glory, we need only turn to the musical legacy he himself left behind.